Here are the 2015 presentations. This project included a notebook guide with information on blood draws: collection sites, process and normal laboratory values. 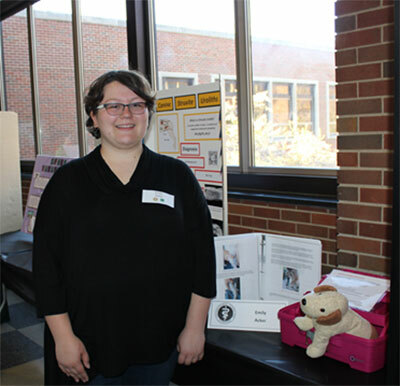 It also featured Blake the blood draw dog, which consisted of a stuffed animal with artificial veins for venipuncture practice. 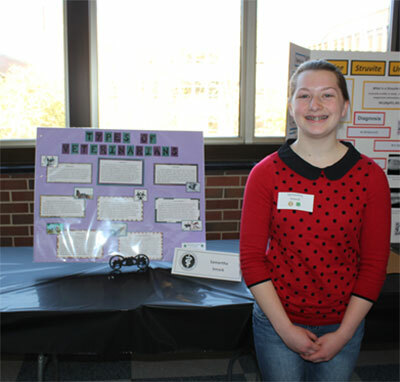 This project described various topics relating to Feline Leukemia, a feline virus. It mentioned symptoms, treatment, types, and other such things. 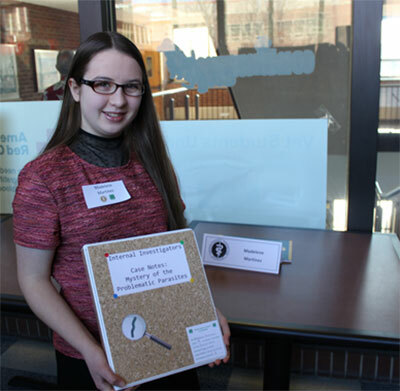 In addition to a light-up board, this project included a binder with information about heatstroke and ideas for activities to conduct in the classroom. Also, an electronic car with a dog inside had two dials: one to control the outside temperature and one to determine the amount of time the dog has been inside the car. Red, yellow or green lights let the user know the level of harm caused to the dog. 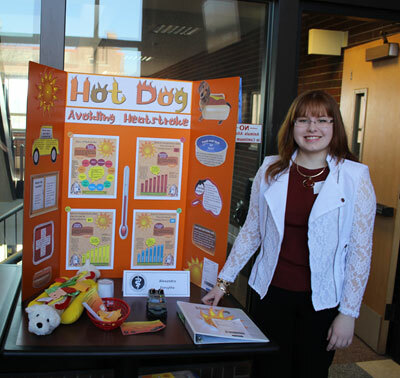 In addition, a toy “hot dog”, side dishes and condiments labeled with symptoms or suggestions were used as a game to help students remember the relevant facts. 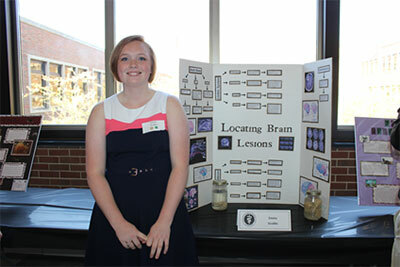 This project explained physical indicators given by the animal to help localize brain lesions. As a reference and to enhance learning, brain samples were also presented. Through this anatomy teaching aid, students can see how the anatomy works together and independently. It can be divided into age appropriate levels and topics of discussion. Each animal (cat, cattle, dog, horse, poultry, swine, rabbit, and sheep) includes the digestive system, organs, skeletal, muscles, picture of animal and name (both, common and scientific). Additional information was included in a resource section. This project highlights the minimal tools needed by a veterinarian to do their job when they do not have access to all the fancy tools and technology. This project was a learning game where you spin a wheel and build a lamb with a variety of traits. 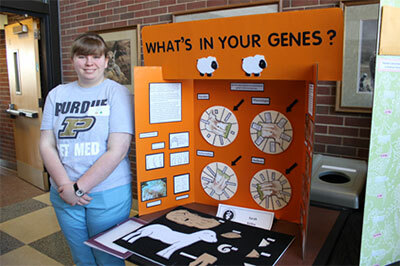 It displayed a handful of traits and explained how each trait can affect the sheep in a different way. 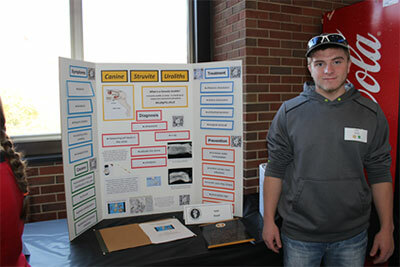 This poster included a very detailed explanation of the symptoms, diagnosis, treatment, and prevention of uroliths, specifically struvite uroliths. 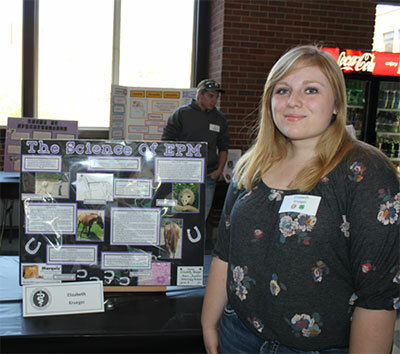 This poster described what Equine Protozoal Myeloencephalitis (EPM) is, how it begins, symptoms, prevention, and treatment. 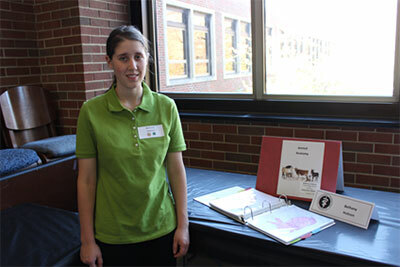 This project explained the journey of a 4-H student who played detective while assisting a veterinarian in determining parasite levels in a farmer’s herd of goats. 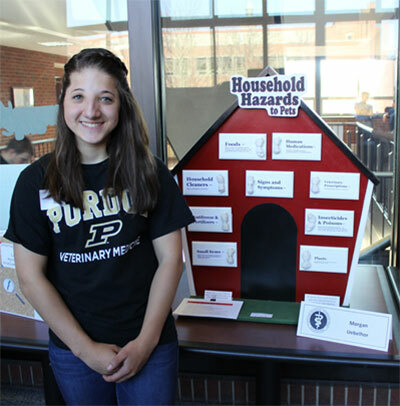 This project highlights different everyday things in our households that can be toxic to pets. 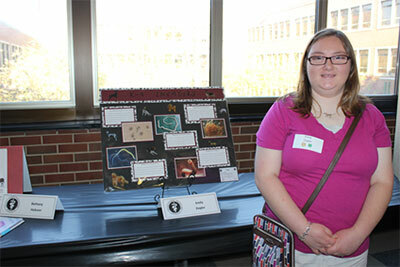 It emphasized the importance of knowing what they are, what they do, and the importance of keeping them out of reach. 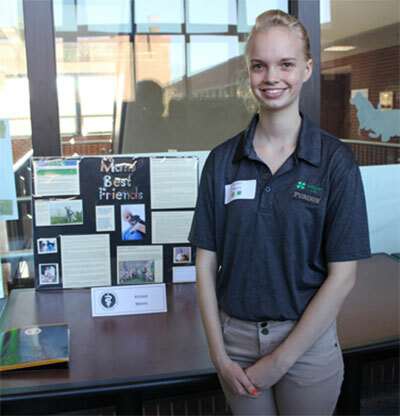 This project described the health benefits of owning and caring for animals. It highlights the ICAN and Prison Greyhounds Programs. It also emphasized how owning pets is very rewarding to both, humans and animals. 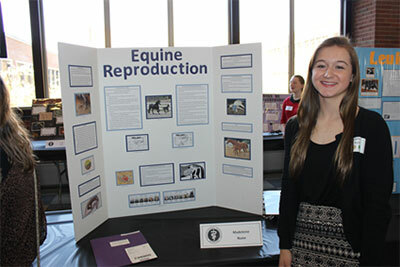 This project extensively described the reproduction of horses, including the organs involved and the transformation of an embryo all the way to a foal. 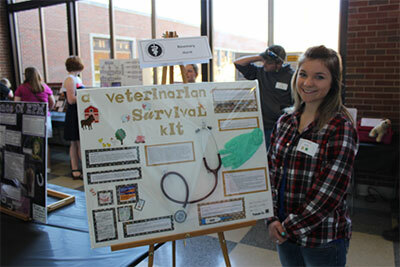 This project showcased nine careers available in the field of veterinary medicine. There was also a job compatibility quiz to help viewers determine which career is the best fit for them. 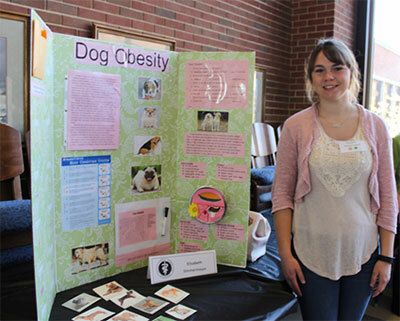 This Veterinary Science project exhibited a display board on dog obesity. It also included a two page essay on the basics of obesity in canines: causes, signs of obesity, treatments, and the effects of obesity. A portion of the display included diet, nutrition facts, and interactive activities to help the viewer challenge their knowledge. 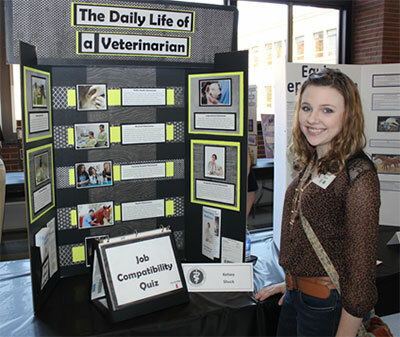 This poster described common types of vets and what their duties are relating to humans as well as animals. Some of the specializations mentioned in this poster include public health, teaching, exotic/zoo, and military. 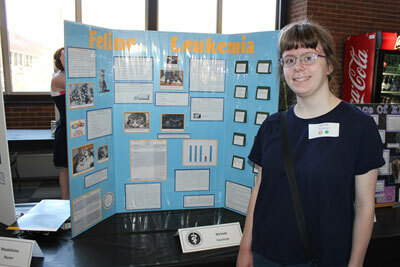 This project displayed many different hazardous materials within the common household, ranging from foods to chemicals. It also contained information about symptoms of poisoning and choking so that people can be informed about signs of a health problem in their pets. 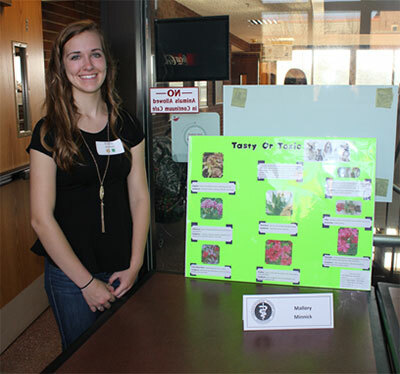 This project described a few of the most common parasitic organisms that invade dogs. It explained what each of the parasites does, what they cause, and how to eliminate them.